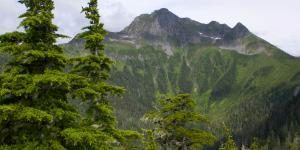 A beautiful and scenic location originally settled by the Russians and the Sitka Tribe of Alaska, Sitka is a perfect place to relax and explore the outdoors. With total area of roughly 4,800 square miles, there is much to see and do in this great Alaskan Port. Enjoy the beautiful natural area of Sitka in an active adventure like fishing or kayaking, or relax and take scenic sightseeing tours by flight, cruise, or bus.